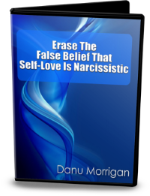 Being raised by a narcissist means we were taught to dislike or even hate ourselves rather than love ourselves. We also witnessed our narcissistic mother's toxic self-love and perhaps decided subconsciously to avoid self-love to avoid that toxicity. But it's good to have appropriate, healthy self-love and these EFT videos are designed to help us with that. Click on each image to find out more about each one. The videos cost $17.00 each if purchased separately but you can get them both together in this bundle for the price of one: for only $17.00. They're also covered by a full 60 day money-back guarantee so you can try them out before deciding if you want to keep them. They're also available as part of the bigger Self-Esteem Bundle.